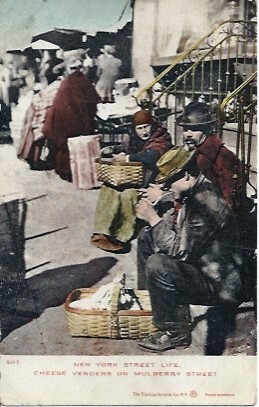 "New York Street Life: Street Vendors on Mulberry Street" showing Italian immigrants selling cheese from handbaskets. 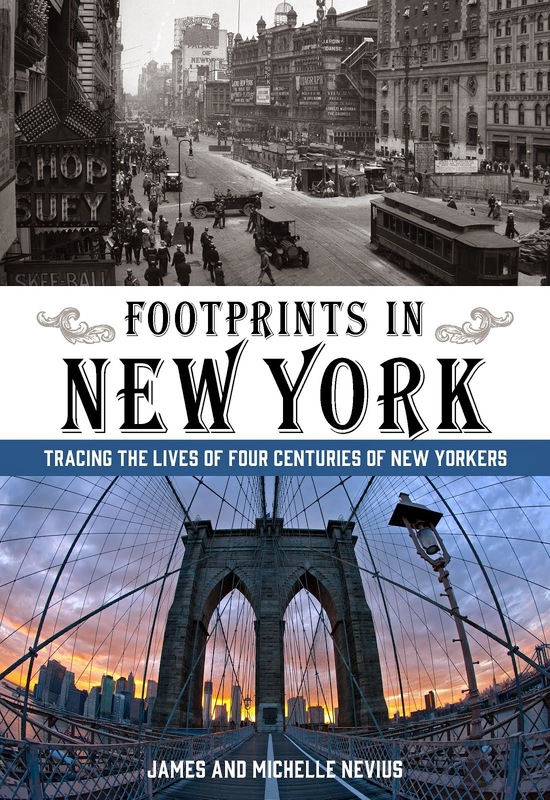 After the Civil War, Italians became the largest single immigrant group in New York, transforming the city. While Columbus Day has fallen out of favor recently in some places, in New York it is still a time to focus on Italian-American history and pride. We'll walk through two of Manhattan's Little Italys -- the more famous one on Mulberry Street, as well as the Italian area of Greenwich Village. RESERVATIONS are limited and taken on a first-come, first-served basis. You can pay for the tour by cash or credit card when you check in. Instructions on where to meet will be email within 24 hours of when you reserve.